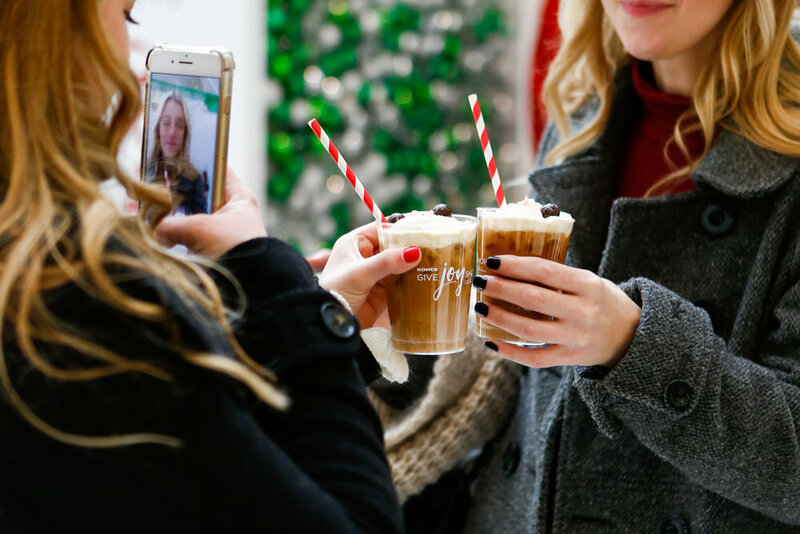 To kick-off the holiday season, The Gathery partnered with PopSugar and Kohl’s to create a surprising one-day activation intent on bringing back the joy in gift giving. Held at the busiest commuter hub in Manhattan, The Oculus, the surprising contemporary-designed shop married the whimsical and trendsetting tone of the millennial-minded online destination with the wide assortment of holiday offerings found at the mass retailer to generate a unified and connected consumer experience aimed at helping shoppers conquer their holiday wish list. Within the experience, guests enjoyed a custom sugar-cane draft bar serving delicious peppermint cold brews, four stylish shop-able vignettes curated with the editorial team at PopSugar and a custom “Wish List Generator” digital interface which helped guests identify gift ideas for their loved ones. 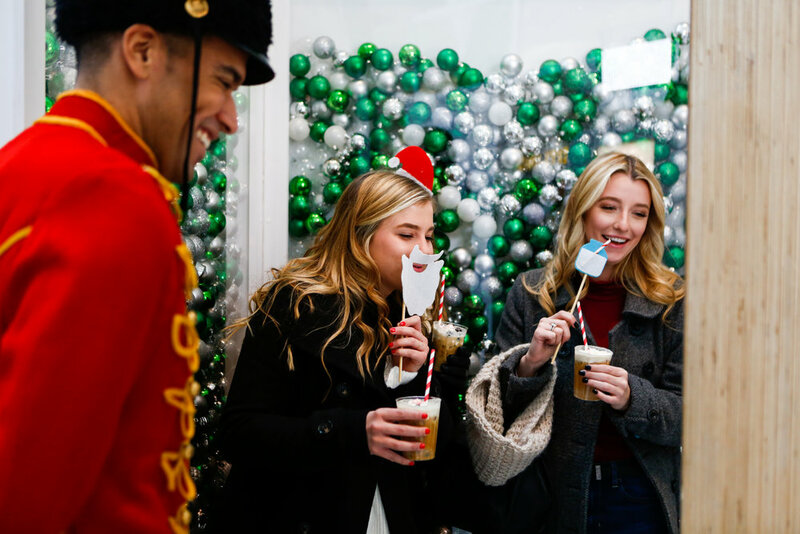 A sing-a-long photo booth invited guests to record their favorite carols and a harmonious a capella quartet helped spread the holiday spirit to over nine thousand visitors.